Roland ECO-SOL MAX ink is a remarkable innovation in ink technology. Building on Roland’s award-winning eco-solvent ink, Roland ECO-SOL MAX ink features several new enhancements including faster drying time, higher density, wider color gamut, improved scratch resistance, lower cost per square foot, and broader uncoated media support. 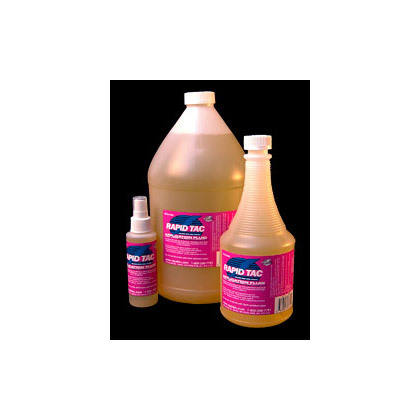 In addition, ECO-SOL MAX is virtually odorless, and does not require any special ventilation or environmental equipment. Quick drying time for improved production speed Improved scratch resistance for increased durability and easy handling Wider color gamut for reds, blues and greens Virtually odorless and user-friendly Aggressively adheres to a broad range of affordable media including Roland’s complete line of uncoated and coated media Durability up to three years outdoors without lamination Ink running costs as low as 16¢ per sqft. Now available in 440cc and 220cc cartridges. Ink running costs as low as 16¢ per sqft. Eco-SOL MAX has been formulated to enhance the performance of all Roland eco-solvent inkjets, including popular VersaCAMM, VersaArt, SOLJET and VersaStudio models. Eight colors are available, including cyan, magenta, yellow, black, light cyan, light magenta, white and DPI award-winning metallic silver. ECO-SOL MAX produces quick drying graphics that bond aggressively and can be handled right off the printer on a wide variety of substrates. This advantage increases productivity and allows ECO-SOL MAX ink to perform with take-up roller systems for long, unattended production runs, even in high-speed mode. 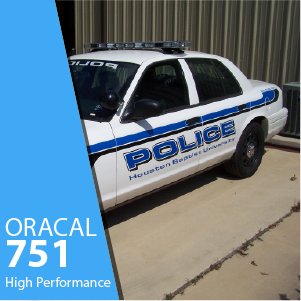 For even greater durability, ECO-SOL MAX is ruggedly scratch resistant, critical to the production of outdoor banners and other graphics that involve complex finishing techniques. 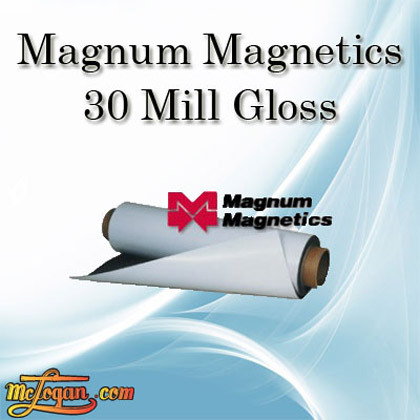 For outdoor banners, ECO-SOL MAX maintains image quality throughout the printing and finishing processes including welding, sewing and the attachment of grommets. 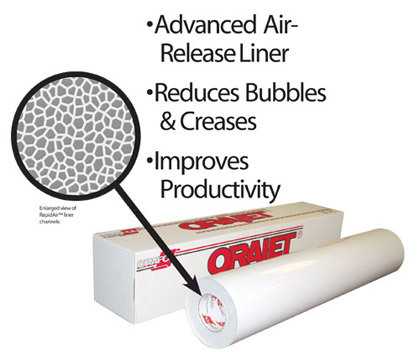 Virtually odorless, ECO-SOL MAX requires no special ventilation or environmental equipment. 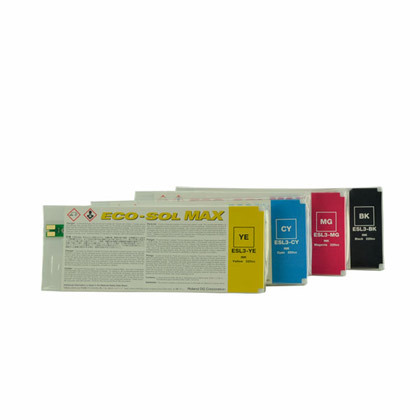 ECO-SOL MAX cartridges are recyclable for a cleaner, more sustainable environment. To participate in our recycling program, simply drop empty cartridges off at any participating Roland dealer, or ship them to one of Roland DGA’s authorized recycling centers including the company’s Irvine headquarters. 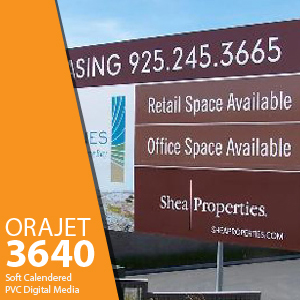 ECO-SOL MAX graphics reflect superb color when viewed at a distance or close up. ECO-SOL MAX’s extended color gamut delivers exceptionally bright reds, greens and blues. ECO-SOL MAX is designed for performance with Roland VersaWorks RIP software. Roland media profiles make it easy to achieve exceptional print quality across a variety of applications. ECO-SOL MAX performs beautifully with Roland’s entire line of media including both coated and uncoated options. Compatibility with value-priced uncoated media can significantly reduce overall production costs for Roland inkjet customers. Eco-SOL MAX boosts the performance of Roland’s SOLJET, VersaArt, VersaCAMM and VersaStudio inkjets to provide lower running costs both you and your customers will appreciate. For a low-density CMYK image, we estimate an average ink cost of $.16 per square feet with an average media cost of $.30 per square foot, for a total of $.46 per square foot. For a high-density CMYK image, we estimate an average ink cost of $.28 per square foot with an average media cost* of $.30 per square foot, for a total of $.58 per square foot.